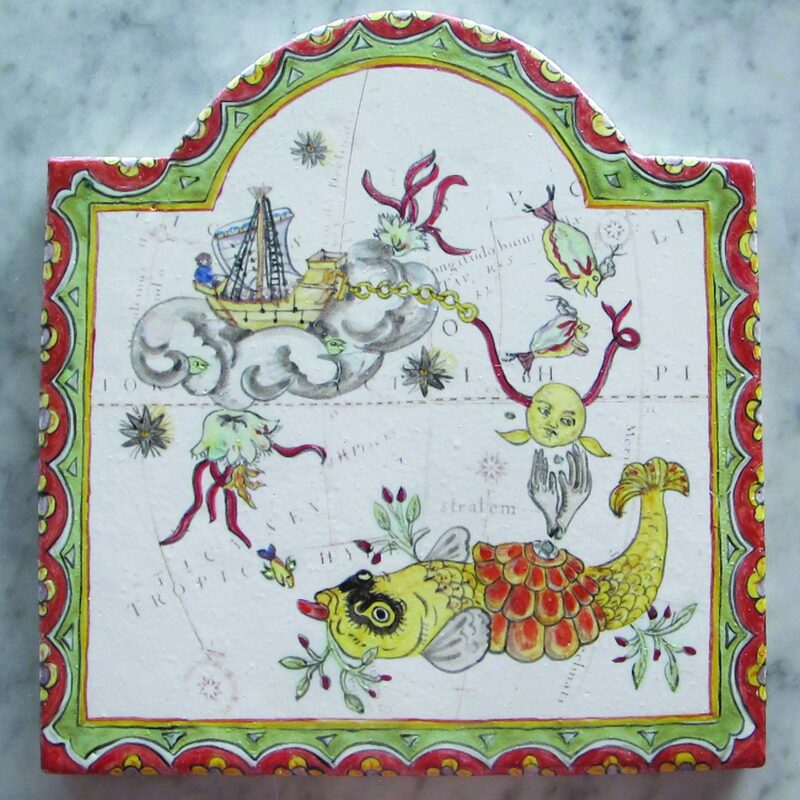 Ceramicist Irène de Watteville's tiles and sculptures present a whimsical collection of astrological figures and constellations. Enhanced with longitudes and latitudes and sprinkled with Latin phrases, the viewer may imagine that these are artifacts of an earlier age. In truth, de Watteville's delightfully playful., sometimes absurd illustrations and ceramic forms draw inspiration from a range of sources including the intricate, fantastic paintings of Hieronymus Bosch and 17th century star atlases.